William and Kathleen VanArnhem, the artists of Green River Studios, bring to the world of painting a formal education in fine arts and illustration, having more than 50 years of combined artistic experience in contemporary and traditional art. Their client list includes restaurants, nightclubs, museums, corporations and private homes. Please visit samples of our latest work. The Jerry Garcia painting in Portraits, the smiling cat in Pet Portraits and the 3-Dimentional ballerina, horse head and cat. 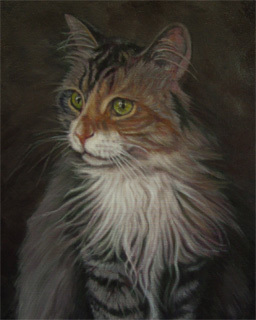 For people and pet portrait pricing. Our Portrait services are also available on eBay at stores.ebay.com/Katies-Vintage-Closet along with a fine assortment of vintage items.